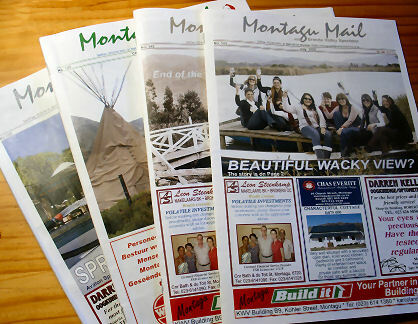 Niel Ackermann recently bought the Montagu Mail and with Mareletta Mundey as Editor, they have fast put their own stamp on it. This well-loved newspaper comes out once a month and contains local articles as well as serving as a business directory and an events calendar. It costs a mere R9.50 - well worth the money!